Trump Fee-Fi-Foe-Fum Declares European Union America's Enemy! 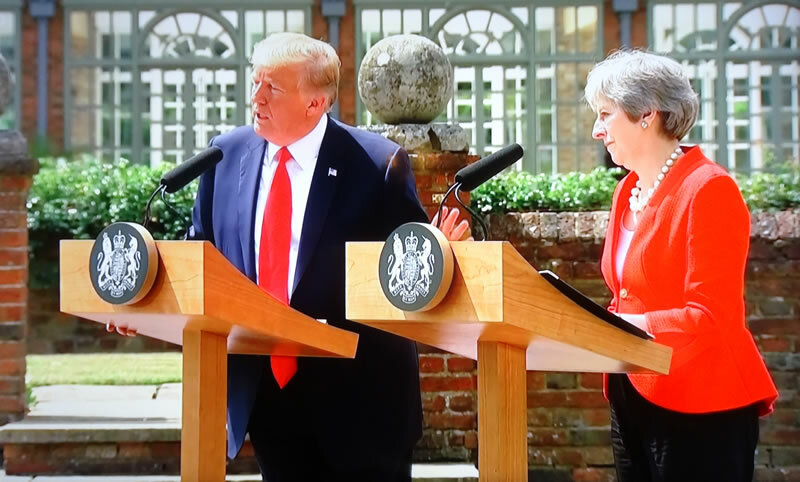 Trump ended his whirlwind or rather hurricane tour of Europe and the UK that included a NATO summit where he lambasted the likes of Germany for free riding on the backs of American defence spending for decades, and a four day tour of the UK where he met British Prime Minister Theresa May where during a joint press conference Trump declared that Boris Johnson would make a great Prime Minister. And that Theresa May had ignored his advice on how to deal with the European Union in respect of Brexit which Theresa May later jokingly revealed on the Andrew Marr show was to forget about negotiating with the EU but instead to SUE the EU. And as Trump prepared to leave the UK for Helsinki for his meet and greet with Russia's Czar Putin. 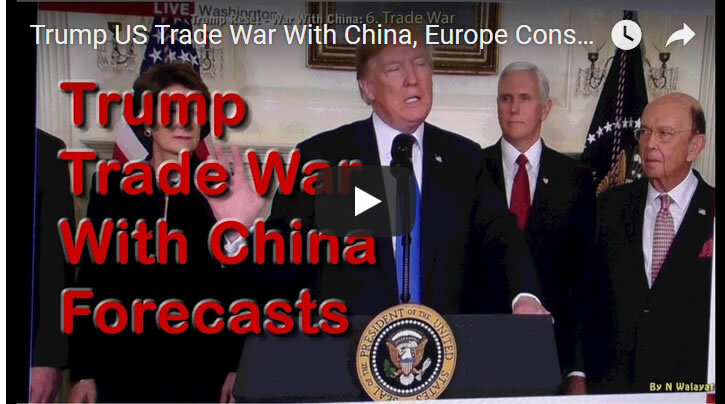 Trump declared that the European Union rather than being America's allie was instead at least on a Trade front was one of America's biggest enemies on par with the likes of China in an interview with CBS NEws. 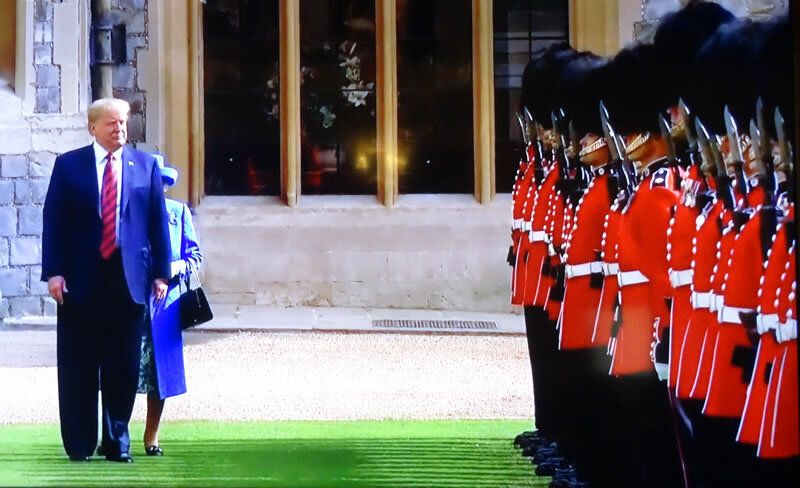 Meanwhile Trumps next stop after walking and dining with the Queen is to pay homage to the person who played a pivotal role in getting Trump elected in 2016, Czar Putin of Russia in respect of which Trump has repeatedly stated he expected his meeting with Putin to be the easier of the three meetings during his tour of Europe (NATO, UK, Putin). And so we shall soon see what rewards Trump hands Putin in Helsinki, where the starting point of a handshake between the two will be enough for Putin to have already won as Trump continues to dismantle the US Empire.